From April until August, we’re running an amazing promotion on the SE Curve Chairs. Schools can order up to 32 SE Curve Chairs for half the price, allowing schools to test the chairs in a FULL classroom. We are firm believers that the SE Curve Chair is one of the best on the market. We understand, as it’s a new model and quite similar to the SE Original model you may wish to try them in your classroom first before making the change throughout the whole school. Why is this model different? It’s ideal for a modern educational environment. It offers excellent postural support for children’s backs. 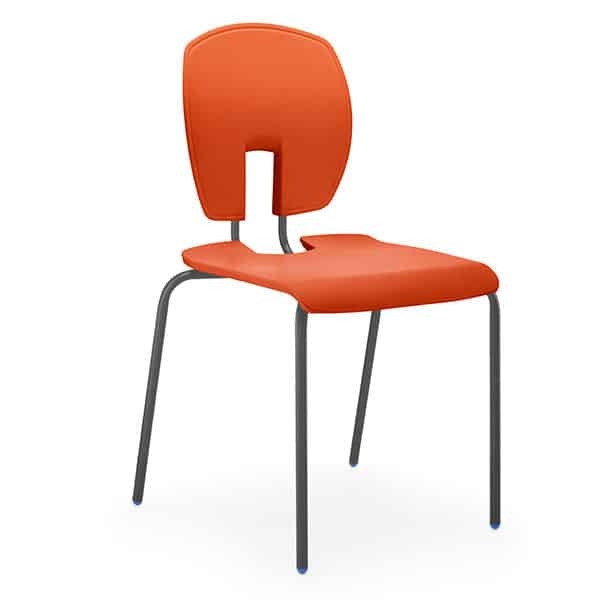 The chairs are high quality, easy to handle and flexible for modern learning environments. Easy to move and stack when not in use. They’re available in 2 sizes, and a variety of polypropylene shell colours to choose from. That’s why we’re offering all Secondary Schools the opportunity to purchase up to 32 chairs at only half the price. This allows schools to see what a difference they’d make – before purchasing and replenishing furniture for the entire school. Please call 0161 485 1717 or email sales@rosehill.co.uk if you’d like to place an order. Please note, in order to receive this special offer, you must contact our office direct. Orders cannot be placed online to receive this promotion.